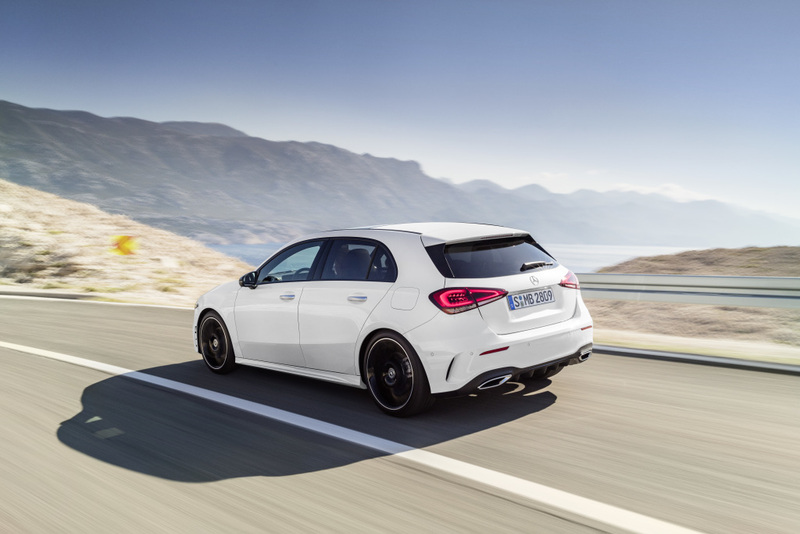 At an event in Amsterdam on Friday, Mercedes unveiled the new A-Class hatchback. Before you ask, no, it won't be available in America. Somewhat inexplicably, however, the new mini-Merc will be a thing in Canada. Perhaps because the CLA's closed-off trunk isn't quite big enough for all the hockey equipment they haul around up there. 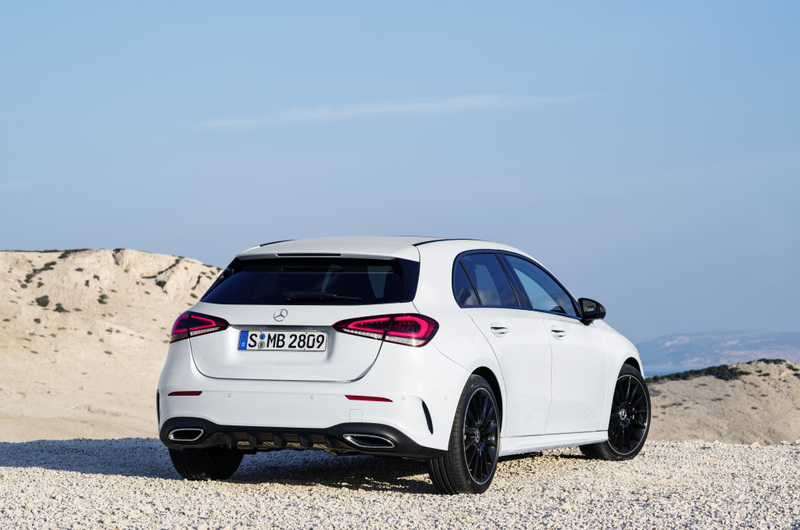 Anywho, the redesigned A-Class aims to be much more sophisticated than the car it replaces, inside and out. Applying the brand's "Sensual Purity" design language, it wears a front end heavily reminiscent of the new CLS. 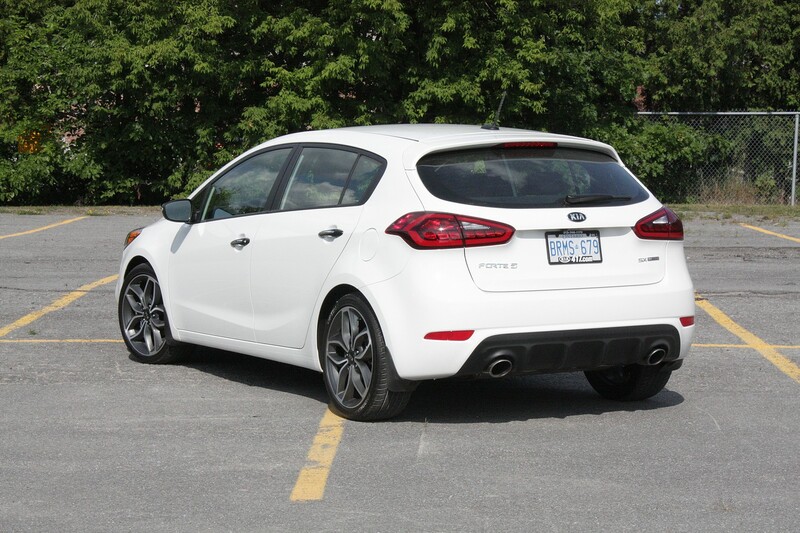 Around the back, the new A gets a relatively original design. Distinct enough that you won't likely mistake it for any other Benz, but bearing enough of a familial resemblance that it won't be confused for an Audi either. A Kia, maybe. Stepping inside, we get a cabin that's decidedly upmarket for what is, at the end of the day, Merc's entry-level car, but you already knew that. In front of the driver sits the super-wide dual-screen setup cribbed from cars way higher in the Mercedes food chain and yet to be offered in the C-Class. 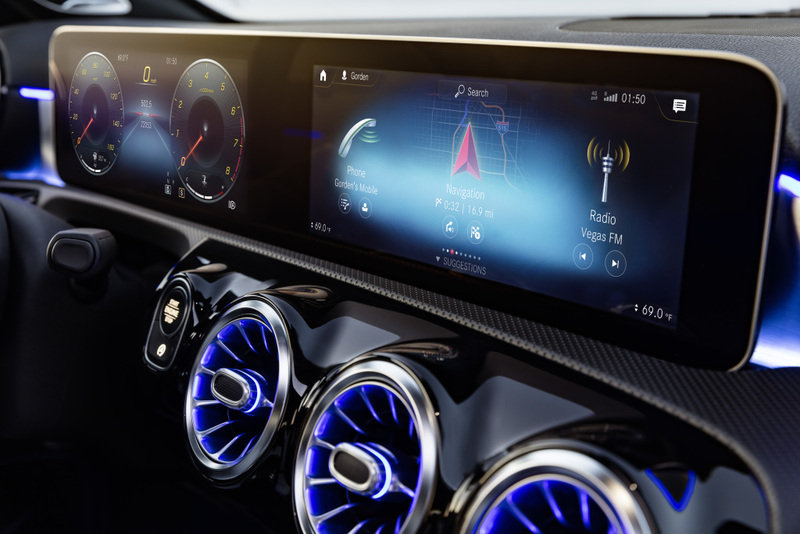 Connecting the driver to said screens and their various functions is something called the Mercedes-Benz User Experience, which the company has gone ahead and abbreviated as MBUX. Presumably pronounced "M-bucks," it coincidentally shares a name with the new BMW-backed cryptocurrency. I kid. The company says MBUX will use AI to improve and adapt to its user over time, feature top-tier 3D graphics, and take voice commands to the beckon of "Hey, Mercedes." According to Daimler board member Ola Källenius, the system "combines intuitive and natural operation with intelligent, learning software." 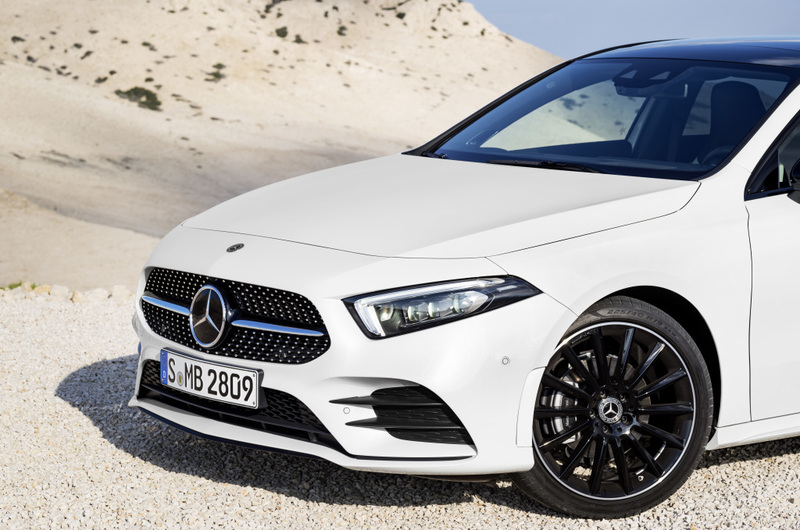 Under the skin, the new A-Class will get semi-autonomous driving and active safety tech lifted from the S-Class in addition to being the quietest and most refined baby Benz yet. 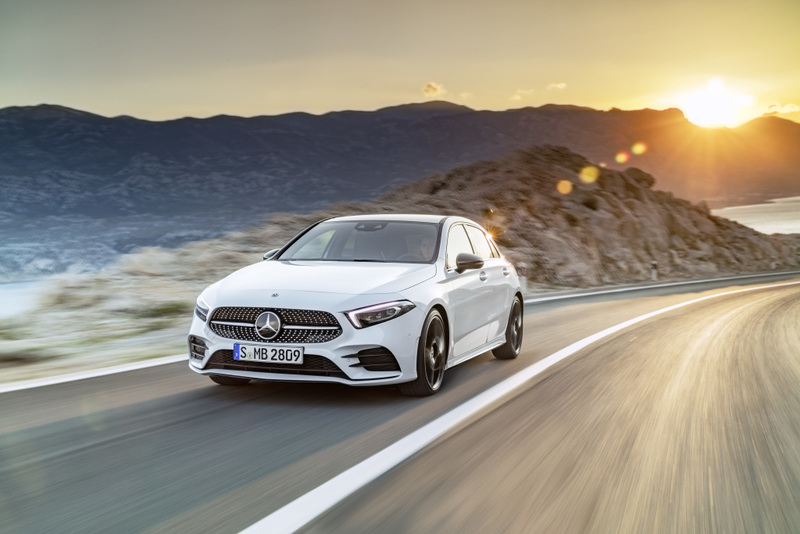 At launch, the most powerful model available will be the 224-horsepower A250, but enthusiasts will likely want to wait for the A45 AMG which is expected to take German hot hatchery into the 400 horsepower club. The new baby Benz poses for a dimly lit portrait.